Vancouver's Delhi 2 Dublin have been making innovative music that fuses Indian Bhangra with Celtic sounds. They come back with their third full length studio album, Turn Up The Stereo on August 28th. Delhi 2 Dublin aren't the first band to slam other World traditions into Irish music, most notably The Pogues dabbled with it on such songs as "Sayonara", "Fiesta", and "Turkish Song Of The Damned". However, that was dabbling. 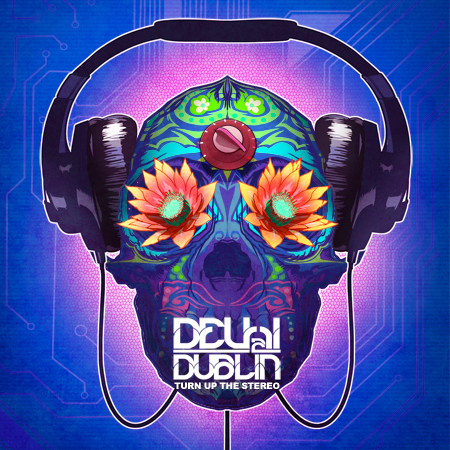 Delhi 2 Dublin put it right out there in their name. The record gets off to a very inauspicious start with "Our House". The horrifying Eurotrash beats would more aptly dub the group Delhi 2 Ibiza. Thankfully they get most of that crap out of their system right up front (the wretched OneRepublic-esque "Lighta" being another). You can't help but get sucked into the rump-shaking Bhangra rhythms of "Love Is the Hero", "Strength of a Lion", or the title track. While there are no shortage of infectious tunes on the album, the Celtic is dearly lacking. With a few exceptions, such as the beautifully sung "She Moved", the Celtic aspects are given a backseat (think third row of the minivan backseat) to the dance elements and Indian flavours. They do tangle well on "Tabla Boy", but even then the Irish is relegated to the bridge. A few other styles are tossed in for good measure. Some heavy guitar lines pump through "Ve Mundeya" and "Code Red". "Revolution" is a fairly strong stab at ska. 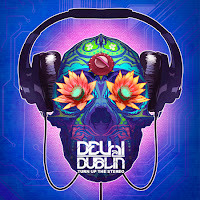 Ultimately there's a disappointing lack of Dublin in Delhi 2 Dublin. It's unfortunate, because the two World traditions do complement each other so well. The electronics interfere with what could organically occur rather than enhance it. Delhi 2 Dublin play the Mod Club in Toronto on October 19th. Best tracks: "Love Is The Hero", "Code Red"